"Wether you happen to be a bookworm or not, libraries are somewhat akin to churches: they inspire a curious sense of quiet wonder as soon as you step inside. Certainly for photographer Reinhard Gorner, who has spent nearly a decade travelling the world to capture the most spectacular examples - a collection that amounts to more than 50". 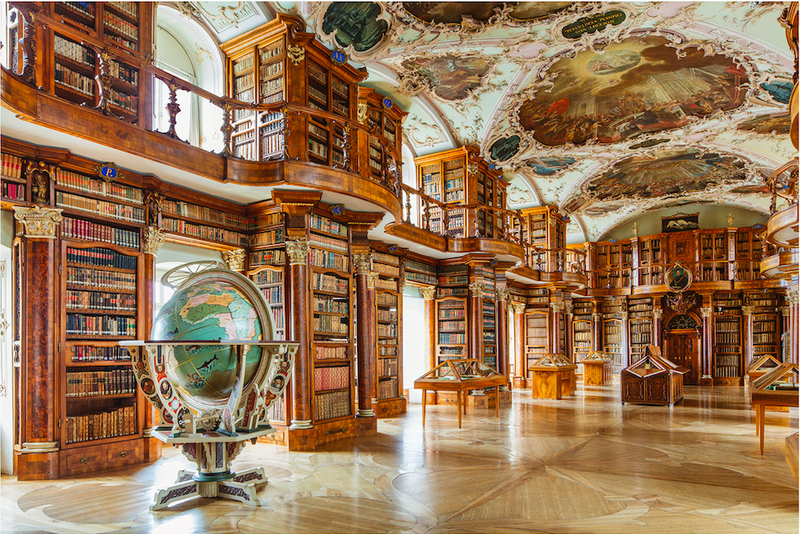 Above in all its splendour is Switzerland's Abbey Library, which sits in the beautifully preserved old quarter of St. Gallen and boasts one of Europe's finest secular Rococo interiors. Another High Baroque masterpiece, this Austrian library belongs to the Vorau Augustinian Monastery at Vorau, an hour's drive south of Vienna. Bursting with History, the building dates back to 1721, and holds more than 11,000 books - its oldest more than 800 years old. The globe seen above was crafted by Italian cartographer Vncenzo Coronelli in 1688. Remarkably, all this survived Russian bombings during WW2 which devastated much of the surroundings. The library that lives within St. Peter's Abbey - founded in 696 - is Austria's oldest, and only accessible today by special permission. Converted from its medieval shell to the Rococo style in 1768, it's home to around 10,000 volumes and also stores some 800 ancient manuscripts. Believe it or not, this is a school library. 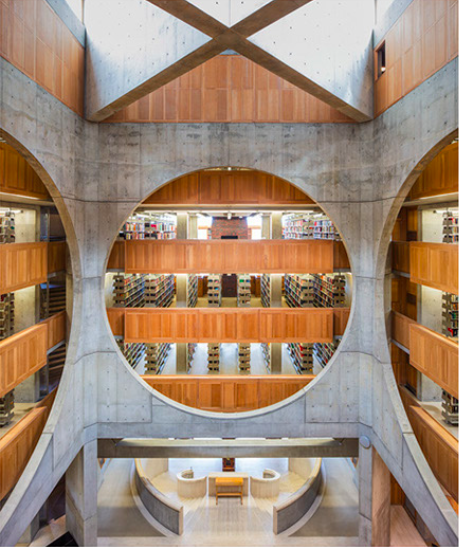 With 160,000 volumes encased over nine levels, it serves students at the Phillips Exeter Academy boarding school in America's New England. Commissioned in 1965 because the original library had entirely run out of space, it was finished in 1971, and has won many a prestigious architectural award since then.